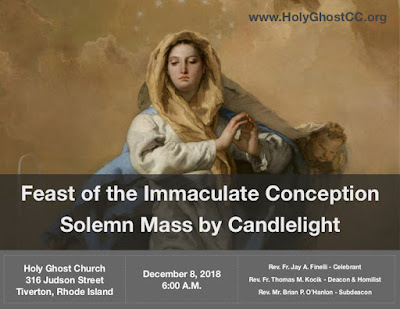 New Liturgical Movement: Solemn Mass for the Feast of the Immaculate Conception in Tiverton, R.I.
Solemn Mass for the Feast of the Immaculate Conception in Tiverton, R.I. 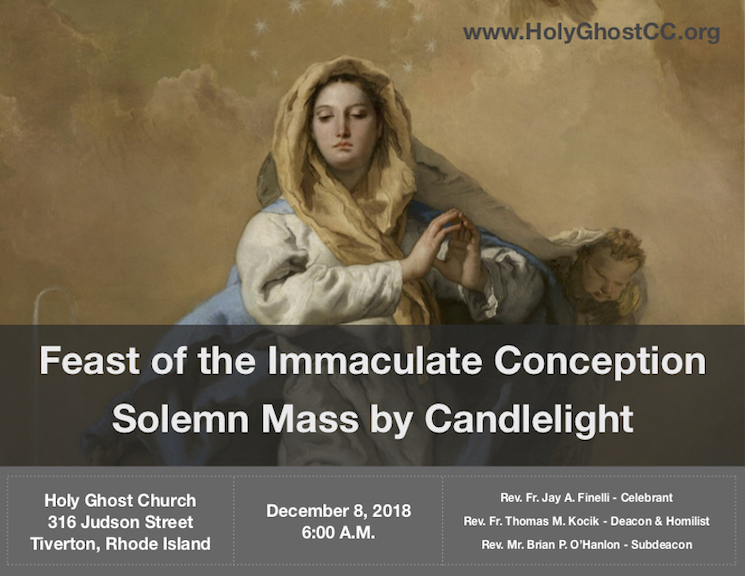 Early risers in the East Bay area of Rhode Island and southeastern Massachusetts, and other locals who, in the quasi-penitential spirit of Advent, are willing to rouse themselves before dawn on a Saturday morning, may wish to assist at Solemn Mass (usus antiquior) for the Feast of the Immaculate Conception at Holy Ghost Church in Tiverton, Rhode Island, celebrated by Father Jay Finelli (the “iPadre”). Tapers and Mass propers will be provided. Coffee and doughnuts will be available in the church hall immediately after Mass.